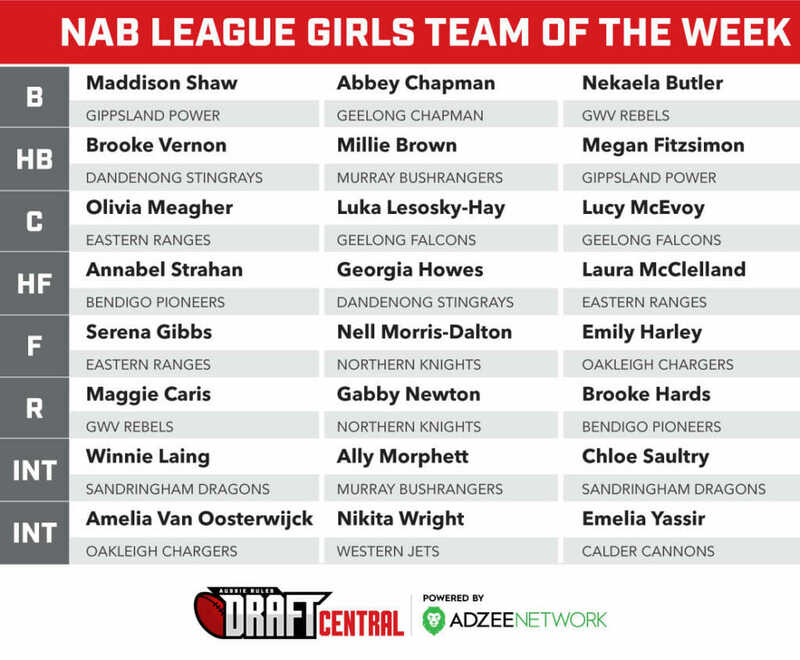 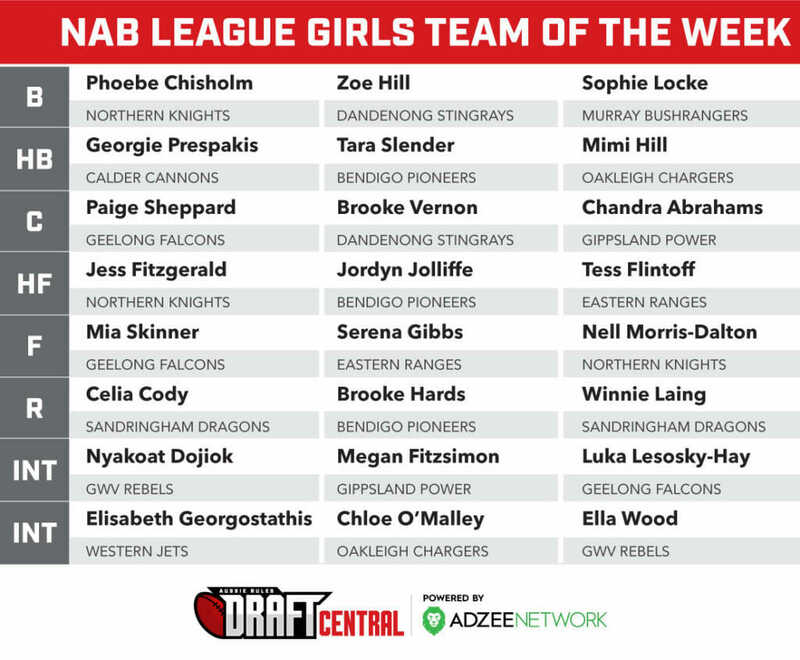 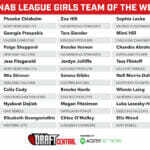 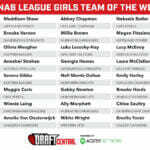 FOR the fourth consecutive week, a different NAB League Girls side has provided the Draft Central Rising Star of the Week. 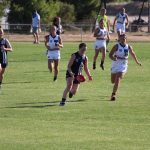 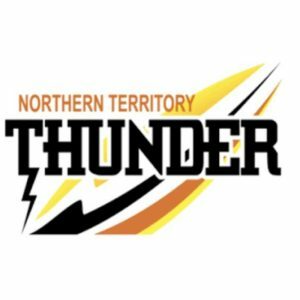 After three weeks of metropolitan representation, reigning premiers Geelong Falcons have become the first country team with a nomination after hard working midfielder, Luka Lesosky-Hay took out the nomination for Round 4. 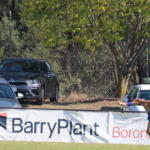 Lesosky-Hay had a competition record 31 touches, eight marks, one tackle and three inside 50s againgst the GWV Rebels, as well as a few chances on goal. 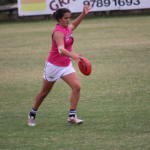 She was a crucial part of the Falcons’ line-up that is yet to lose a game this season, after winning 4.17 (41) to 0.5 (5) in windy and wet conditions at City Oval, Ballarat. 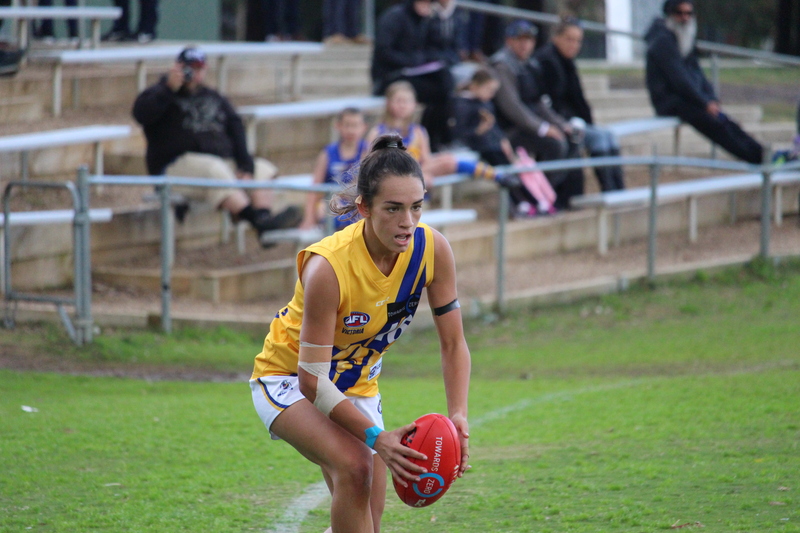 Lesosky-Hay has enjoyed a consistent top-age year filling the void for Olivia Purcell in that inside role, averaging 23.8 disposals, 3.5 marks, 4.0 tackles and 3.5 inside 50s per game. 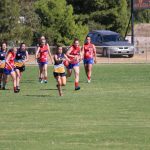 The Falcons come up against Dandenong Stingrays next week in what should be an exciting contest.